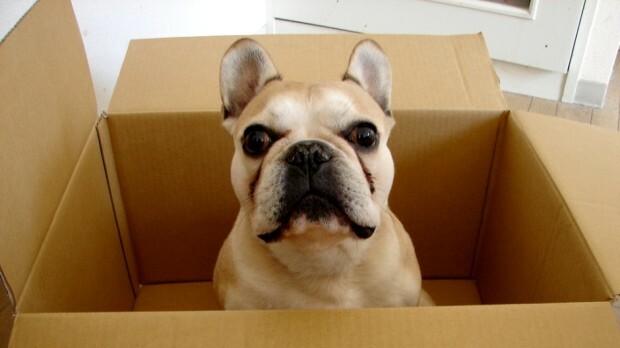 We’ve done a few moves recently that have involved pets both big and small and moving house can sometimes be just as stressful for animals as it can be for humans, although the stresses are somewhat different! As a result, I thought it might be quite useful to talk about some of the key things you should consider for your pets when you move home. For smaller caged animals, such as guinea pigs, hamsters or rabbits, the best thing you can probably do is move them to a friend or relative’s house for the duration of the move. This means you don’t need to worry about them as you are packing up our old house and unpacking the new. If this is the route you take, make sure that you send them on their ‘holidays’ with enough food, bedding and any other essential supplies they might need for the time they are away from home. If sending them to stay with another family is not an option, remember to keep enough space free in your car to transport them on moving day. Again, make sure you have a bag with their necessary supplies for a day or two and get them settled into wherever they will be located in the new house as quickly as you can upon arrival. Let’s move on now to larger animals, such as cats and dogs. It’s a good idea to get a new identity collar made in advance of your move so that you can put it on your pet on moving day. Although this hopefully won’t happen, should your cat or dog get lost at any point during the move, having your new details on their tag will get them back to you quicker than if they were wearing their old tag. Keep your cat inside on moving day – if you let it out, it may prove tricky to catch when it’s time to go, and hunting a cat is really not what you want to be doing as you leave for your new home. Finally, once you get to your new house, check the garden to confirm that it is secure and that there are no hazards before letting your pets out. It’s best to keep cats in for a few days so they get used to the new house before they go wandering.